Are you having problems with your vehicle right now? Perhaps the car or truck that you own has a bad starter. You may need to get new tires on your vehicle, or perhaps your transmission is starting to go bad. Even if you do not know what is wrong, you can always find a local mechanic that can diagnose the problem. If you are not mechanically inclined, but you know that your vehicle needs to be repaired, you can take it to a local mechanic that can help you out. Here is a quick overview of the different services that these companies can provide, and how to find the best auto care services provider your city that can help you repair your vehicle. What Type Of Problems Can These Companies Fix? They will be able to replace your carburetor, do oil changes, and change out your radiator if it is cracked. Other services they may provide will include working on your suspension, shocks, and steering. They can repair your clutch, exhaust system, and even do cambelts and timing. As long as you have chosen wisely, the auto care service provider that you choose will be able to handle all of these issues and more. The evaluation process that you will go through to choose the right auto mechanic is actually very simple. It’s a process of elimination. You will search for auto care services on the search engines, and you will see reviews for the top companies. Based upon what other people have said about their experience, you can decide to work with one company over another. If other people have had nothing but positive experiences with this business, they will be able to fix your automotive issues. How Long Will It Take To Complete Your Repairs? The testimonials that you will read will often mention the problems that they had, and how quickly the issues were resolved. 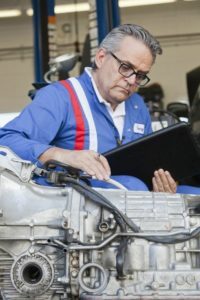 Whether they were flushing a radiator, repairing your automatic transmission, or simply doing an annual inspection of your vehicle, you can find out how long it will take. The only delay will typically be a lack of parts, ones that cannot be obtained locally. That may add a few days to the total repair time. Other than that, most repairs can be done within a few days of bringing your vehicle in, with some repairs taking just hours to complete. Selecting the right auto care provider like Rose Garden Auto Care is very easy to do if you have access to the Internet. If you are only using the phone directory, you will not have all of this other information. You will also want to go to their website to see how much they charge for the different services that you may need. If it is not displayed, simply call them up to ask for a quote on how much it will cost to do the repairs. Use these simple tips for choosing the best auto care provider in your area.